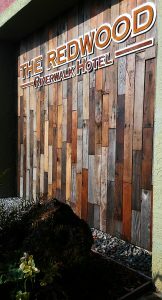 When you stay at The Redwood Riverwalk Hotel, you’re surrounded by redwoods, whether it’s the reclaimed wainscot in the lobby, the mural by the indoor pool, or the tall timbers themselves in nearby Humboldt Redwood State Park. How much do you know about these giants, the tallest trees in the world? Redwoods have been growing here for 240 million years, and we humans have only been amazed by them for the past 200,000 years. Originally, they grew not only in North America, but in Asia and Europe as well. Climate changes gradually restricted their locations, and three different species evolved: the Coast Redwood (Sequoia sempervirens) that we see around us here, the Giant Sequoia (Sequoiadendron giganteum) in the Sierra Nevada, and the Dawn Redwood (Metasequoia glyptostroboides) in China. Redwoods can live more than 2,000 years, often growing two feet each year to reach heights over 300 feet. We sometimes focus on their size so much, and overlook their important ecological contribution of capturing more of the carbon dioxide generated than any other tree on Earth. You will find coast redwoods in the humid fog belt that varies from about 5 to 35 miles wide along the Pacific coast from northern California to southern Oregon. Coast redwoods do not have taproots – their wide-spread lateral roots, only about 6 – 12 feet deep, help keep them firm in Pacific winds. Old-growth redwoods are likely to have experienced three or more severe forest fires every century. Their thick protective bark helps protect them during many fires, but sometimes fires lead to basal wounds that allow decay to begin. Fire likely began what eventually became the car-size opening in the Shrine Tree in Humboldt Redwoods State Park. Today, which of the redwoods are the tallest is a carefully kept secret. Their specific names and locations no longer are published in order to protect the trees and their surroundings from damage. We do know that Redwood National and State Parks now have the tallest and widest redwoods, taller and wider than all the giant sequoias of the Sierra Nevada. 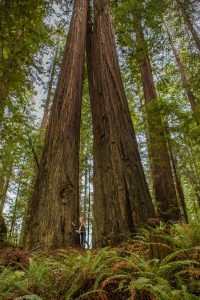 The Coast Redwood Adventures website has some of the most extensive information for anyone seeking the tallest giants, including new contenders found between 2008 and 2017, a listing of ‘mystery trees’, a photo album and blog. See the picture of a new giant named Darth Vader, photographed by M.D. Vaden in January, 2017 –its location is not published, but when you’re hiking in the Redwoods National and State Parks, keep your eyes peeled! For those less adventurous, the tallest coast redwood seen easily near us in Fortuna is the Founders Tree in Humboldt Redwoods State Park, less than 25 miles from our hotel. 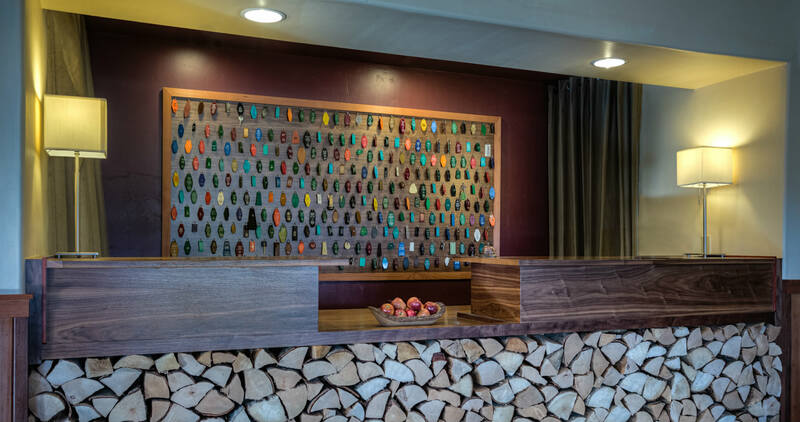 Whether you plan adventurous hikes looking for Darth, or plan just a scenic drive and following the path to the Founders Tree, we look forward to hosting your adventures. May the Force be with you! This entry was posted in Area Activities, General, Outdoor Activities, Scenic Drives, Things to do, Uncategorized and tagged Avenue of the Giants, CA redwoods hotel, Drive-through redwood trees, hiking by admin. Bookmark the permalink.